If you require an electronic copy of the printed document, the scanner is indispensable. However, it is often required to have a scanned document, not only in a graphical format, but text. To translate a scanned document in Word, you need to recognize the text. To do this, use a program like ABBYY FineReader, are intended for solving such problems. In addition, using the interface of this program, you can also scan documents. As an alternative to ABBYY FineReader you can use programs such as CuneiForm, Readiris Pro, Free OCR, SimpleOCR etc. In order to begin to recognize text in the scanned document, open the document in the selected program. If the document contains multiple pages, specify the page range that you want to recognize. You can also specify a region on the page that is used for recognition. Additionally, you can choose the language of the text in a recognizable document, the field values and other parameters. Click on the "Recognize". Upon completion of recognition, the resulting text will open in an additional window. You can check it and manually make changes, correcting the mistakes if any. You can skip this step and return to the edit text directly after a document is saved. Next, click on the "Save"button. You will be prompted to save the edited text in one of several formats. We are interested in the Microsoft Word format. Select format .doc, specify a name for the saved document and save it. The task is completed – the scanned document transferred to Word. Depending on the program selected for recognition scanned documents, the names of the program elements, and optional parameters can slightly vary. However, the General algorithm of working with the program remains unchanged regardless of which software product you have chosen. Scanned documents sometimes require adjustments, but how to do it, if your text document converted to an image? There are at least two major solutions to this problem. The common practice of scanning the documents and send to colleagues and business partners in PDF format. But it is with editing files of this format the user is generated more problems. They can be solved as using one of the free software and convert file from PDF to Word document. To make corrections or add a scanned document to PDF, use CutePDF, the free version which can be downloaded at official website of the developers at www.cutepdf.com. Upload the document in the traditional way using the File menu and click Open and then start editing. If you are reading a large document on multiple pages and you need a lot to edit, use the online or offline Converter to convert PDF to Word. Online-convert can be done on the website http://www.pdfonline.com/pdf-to-word-converter/. Just upload your PDF file and after conversion, download the Word document ready. As an offline Converter, you can use the program Some PDF To Word Converter, which can be downloaded on the official website at http://www.somepdf.com/some-pdf-to-word-converter.html. Install the program on your computer, add the file and get the result of conversion of text document. Scan is creating with a scanner or digital camera copies of the documentand the page of a book or magazine, photos. If you have scanned the text and you need to edit it, you can use software designed for such tasks. The most popular tool for editing scanned text is already long time is Abbyy FineReader. Download the trial or purchase the full version of the program on the official website of Abbyy at www.abbyy.ru/finereader. Free trial version of the app will give you the opportunity to process only 50 pages of text. This limitation is removed in the full version of the program, the cost of which does not exceed $50. Once you have downloaded and installed the program, run it on your computer. Upload the text file you want to edit in the program from the menu "Open", "Convert the image into Microsoft Word. Specify the path to the file, which invokes the conversion process. After its completion, the text will be automatically opened in a new Word document. Here you can edit it by conventional means, and then saved as a Microsoft Word file. In addition, you can use onlineresource www.onlineocr.ruwhere you can convert a scanned document into text format. To do this, click "Choose file", select the desired file on your computer, and then press the button "Download". After downloading the image, click "Recognize text". After some time, on the same page, the text will appear. Select the text and then copy and paste it into a text document, where you will be able the text to edit. If during the scanning you save the text in PDF format, you can edit it after processing any available Converter PDF to Word. Try PDF to Word, which can be downloaded free on the official website at www.pdftoword.comor use one of the online converters: www.pdfonline.com/pdf-to-word-converter, www.convertpdftoword.net etc. Scanning text is done in order to translate it from analog format to digital. During the conversion into text often creep error. So the text is sometimes edited. This can be done in several ways. Scanned text is an image format .tiff .jpeg or .gif, which in fact is not a standard text document. To convert images with text into this text uses a variety of programs with the function of the so-called recognition of the text. One of such programs is a well-known product of the company called ABBYY Fine Reader. To recognize text with the help of this program you can open the file with the image, set the language of the text and press the button "Recognize". after some time, the program will generate a text document that can be changed. Program Fine Reader allows to recognize documents in 186 languages, and has the widest circles of functions for working with the original text documents of varying quality. If you don't want to fork out for Fine Reader (the full version of which costs 1400 rubles), for recognition of text you can use the online tools. On the Internet there are many services recognition of the text. The most powerful of these is the Fine Reader Onlinehttp://finereader.abbyyonline.com/ru/Account/Welcome), allowing to recognize up to 5 files for free and completely non-commercial solutions, such as Free OCR (http://www.free-ocr.com/)and http://www.newocr.com/. To work with the data services just upload a file with scanned text, select the language and format of the text file and get ready for editing text. To change the text , open the resulting file with a text editor (corresponding to the format of the received document) and change it to normal mode. Then save the file to your computer. Use online services for OCR in the case that you need to recognize a small number of pages. If you are constantly engaged in scanning and OCR - ing a powerful paid program. If you print a documentcreated in a text editor, it will be a simple picture. Thus, the scanners read documents with just the graphic image, graphics and text are edited in different ways. But the difference in formats is not a problem. To change the text in the scanned document in several ways. Install the app to recognize text. Such programs can come bundled with the scanner or distributed separately. However, the principle of operation they have one. Run the application to recognize text, place the desired document into the scanner with the text down scan. Hit the button "Recognize", wait for the program to translate graphics into text, export the file to text format, save the document. Next, open the saved document in a text editor and make the desired changes. If you don't have the app, use another method. He is more creative compared to the first. Scan the document, putting the settings to obtain a clear image without overly dark and overexposed areas. The higher quality your image, the less you have to clean up the drawing. Save the scanned document. Open the image in any graphics editor. It is better to use an editor that supports work with layers. If you make a mistake when editing, it will be easier to fix on a separate layer than in the whole document. Align the background using the eraser or a brush. Adjust the brightness and contrast of the image, if necessary. Remove or paint over the part of the document that will contain the new text and create a new layer. Select the Text tool (indicated in the graphic editors the letter "T"), enter text in the newly created layer. If you work in Adobe Photoshop, creating an additional layer is not required. Choose the right style and font size. Using move tool, compare the old text with the new one, making sure that the rows and the fields were flat, and the spacing between lines is identical. Merge layers, save or print the document. Very often it happens that you want to edit the text that is contained only in the paper version. For recognition and editing at the moment there are a lot of programs, which differ not only quality results, but also enhanced functionality. 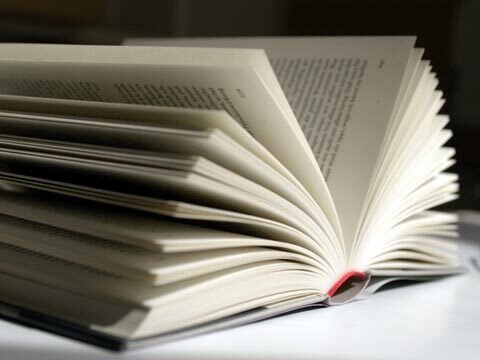 Fine Reader is one of the best available applications to accomplish these goals. 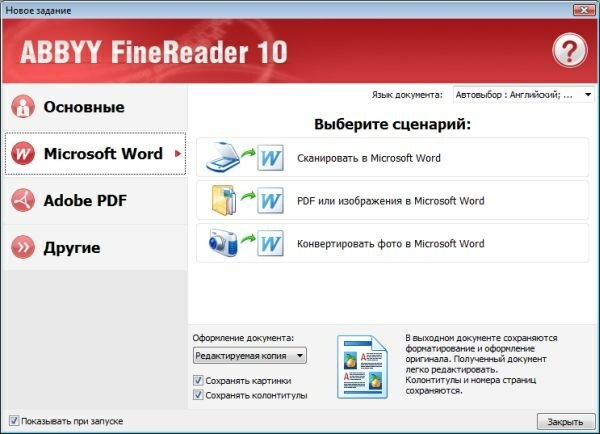 Download and install the program of recognition of scanned text, for example, Fine Reader. Check the functionality of the program – many modern versions support the integration of the scanned text directly in Word, if such a function exists in your copy of the program, perform the operation by passing the following paragraphs. If you have an older version of the program, scan need to edit the document with the standard program of your copying equipment that you usually use, and then save it in the format .jpg on your computerE. Click once, right-click on the saved image, select "Open with..." and in the list of programs, select the recently installed you Fine Reader. If necessary, check the box "Use for all data files of this type. Also you can simply scan the image using the already open program, select “Scan and Read” the image from the device is imported directly into the workspace. For this in the settings, specify the settings of the scanner in program mode Fine Reader. In the opened window select "Recognize text". Wait until the program will perform the reading of the document. If the results of the operation do not meet your requirements, change the settings of scanning and recognition, and repeat the procedure again. Save the document in any format that is supported by Microsoft Office Word. Close Fine Reader, navigate to the folder in which you saved your document. 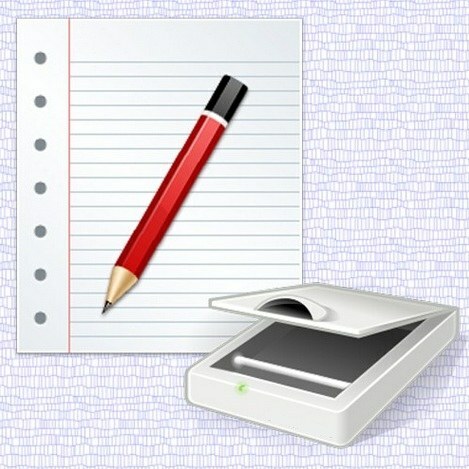 Open the file with MS Office Word or any other text editor in which you are comfortable to work. Make your changes in the file, save the results. 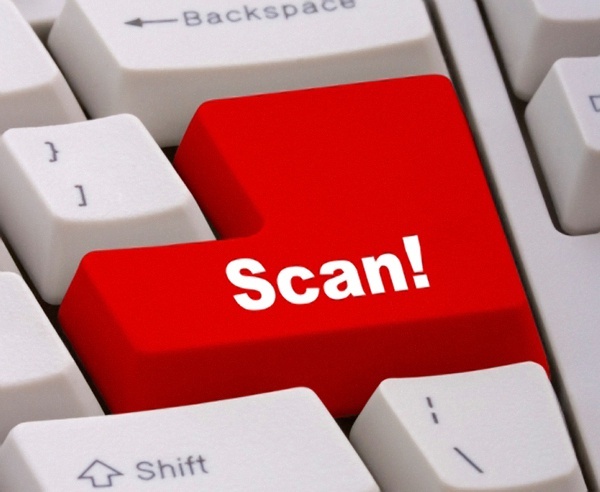 Pay special attention to the scan settings, it is best to pre-set the desired parameters. Download the program only from the official website Abbyy. Sometimes it is necessary to recognize previously scanned, but the raw document to use the data for importing into another electronic document. 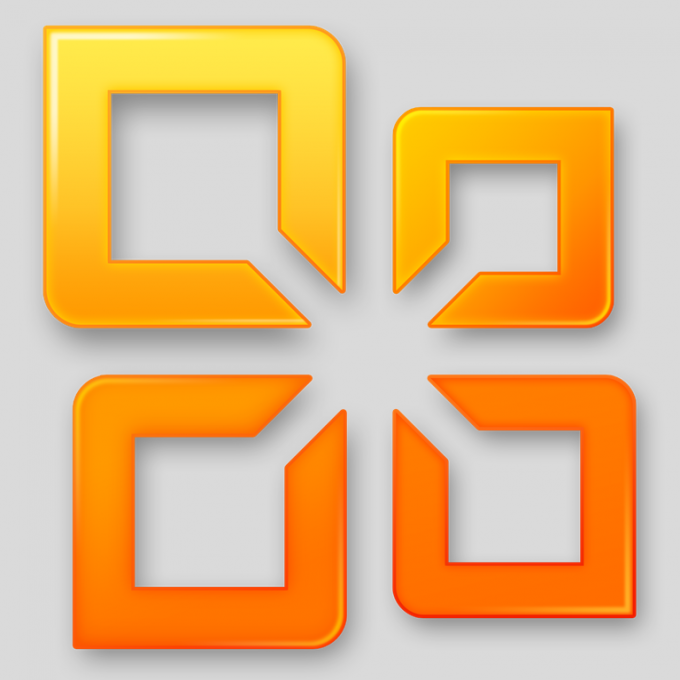 Best cope with one of the programs of Microsoft Office, which is designed to work with scanned copies of documents. Software Microsoft Office Document Imaging. As an example, you will use this utility of software package version 2003. To start click the "start menu" and select "All programs" (for Windows XP and newer) or "Programs" (for older versions of Windows). In the opened list look for Microsoft Office and run Microsoft Office Document Imaging. In the main program window and click the top menu "File" and select "Open". In the window "Open file" specify the location for the scanned document (tif format). After selecting click "Open" or press Enter. To perform the recognition operation of the text , you must use the internal command "Recognize text" from the top menu "Tools" or from the top menu "File" (depending on software version). The recognized text can be easily copied to any other Microsoft Office document. Do not forget that are ready to copy sections of text transferred to the clipboard, not as a text document, there are some rules. For example, you cannot copy the text, stopping the secretion in the middle of a word, bring it to the last letter of the word and copy. The selection text is not a marker type, and framework. To do this click the top menu "View" and then click "Select" (the cursor image). After you define a piece of text, ready to copy, click the top menu "edit" and select "Copy" or use the context menu of this page. Go to another Microsoft Office application. Click the top menu "edit" and select "Paste" or use the "Clipboard" from this menu. Also the insertion of the copied fragment can be carried out via the context menu of the current document.